Looking to take to the streets in a brand new Honda? Whether you’re in the market for a family-friendly SUV, a more compact and sporty sedan, or anything in between, our Presidents’ Day Sales Event is bound to excite you. We’ve got the best selection of new Honda models around…and our pocket-pleasing prices are sure to satisfy. There has never been a better time to shop for a new car. Wait. Let’s rephrase that. There has never been a better time OR PLACE to shop for a new Honda in Ridgeland. 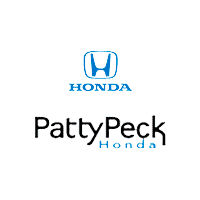 With favorable Honda finance and lease deals available to well-qualified buyers on select new models like the 2019 Honda Accord Sedan and the 2019 CR-V, you better hurry down to Patty Peck Honda. To the driver looking for style: you can’t beat the Accord sedan. For those of you who have a more adventurous spirit: come test drive the CR-V. But those aren’t the only two models to choose from, find available specials on the always popular Civic, the family friendly Odyssey, sporty Pilot, and more! This sales event is running through the end of the month, all offers expire on February 28th, but why wait? If you’ve been thinking to yourself, “I need a new car, but it’s just not the right time. It’s too expensive.” Think Again. The Honda Presidents’ Day Sales Event is the perfect time to buy or lease a new 2018 or 2019 Honda. For complete details about available Honda specials and lease deals contact Patty Peck Honda online or visit us in Ridgeland. We are conveniently located near Jackson, Madison, and Brandon, MS.